God doesn’t hold grudges! Wow, that’s good to know because I’m pretty good at doing that. I know how to hold on to them and hold on to them and never let them go. When I was a child my parents bought me a stamp book. Ever since then, I’ve been collecting stamps. I have albums full of stamps. They’re not worth a lot of money but they are mine! I also have a coin collection. It’s not worth a lot of money, but it contains my father’s mercury dimes and flying eagle quarters and I’ll never get rid of them. 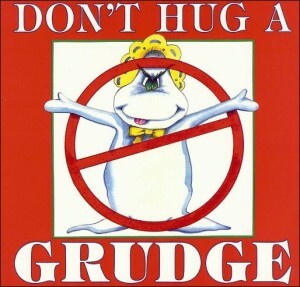 Unfortunately, I also collect grudges! They are all mine also. The have sentimental value also because they are so personal. But they are the least valuable of my collections because they don’t add anything of value to my life at all; instead, they take value from my life. A. W. Tozer puts it this way, “He forgives and forgets, burying your old load of guilt so that it no longer exists. God has promised, ‘I will not remember your guilt.’ Since God is able to remember everything, the only way to figure this is that God beats that guilt and condemnation back out of being so it does not even exist anymore! The sin that God pardons is no longer an entity—it is gone forever!” The same Psalm I quoted above (Psalm 103) goes in in verse 12 to say, “… as far as the east is from the west, so far does our Lord remove our sins from us.” Lord, help me become like you and throw out my grudge collections!